"Ooh, it's a beautiful kangkong! It's so prettyyyyyyyy.."
That's how my daughter adores kangkong so much! 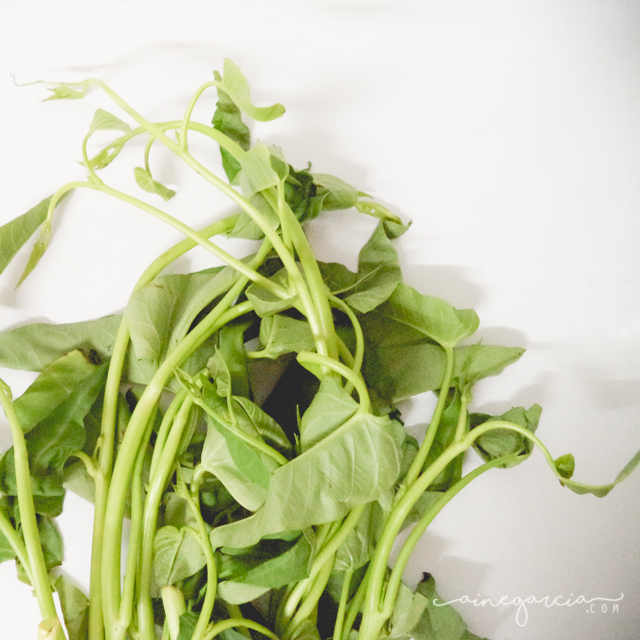 One of her favorites, especially when cooked as Adobong Kangkong and paired it with fried fish. Once served on our table, galit galit na muna! Lol!